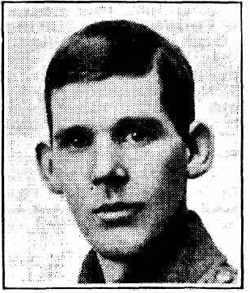 Enlisted on 14th February 1915 and left for Gallipoli on 13th June, stopping at Egypt and arriving in Gallipoli on 9th August. He fell ill with dysentery and jaundice in September, was evacuated to Malta on Hospital Ship Nile and arriving on the 8th September was admitted to St John’s Hospital, Sliema. A month later he was sent to England and by 17th October he was in the 1st Southern General Hospital, Birmingham. 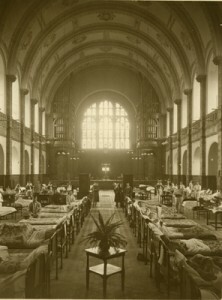 The Great Hall of Birmingham University in use as a ward during the First World War. 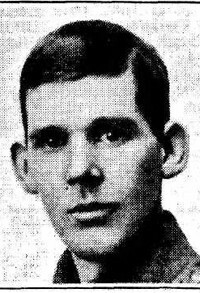 He was well enough to spend Christmas 1915 at home with his mother before rejoining his battalion in Egypt in March 1916 and embarking at Alexandria on the Llandovery Castle for France later that month. The New Zealand Division with the 2nd Battn Otago Regiment in its 2nd Brigade took part in the later actions of the Battle of the Somme from September onwards. The Battle of le Transloy occurred between 1st and 18th October and it looks as though Watson was killed on the first day. He had been appointed L/Cpl (unpaid) on 8th September 1916. His school obituary records he was killed by a shell near Flers after the battalion captured some German trenches. 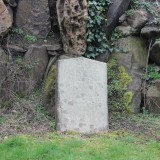 Son of Mrs. David Henry Watson, of Strathadon, Troon, Ayrshire, and the late David Henry Watson, of Glasgow. Contractor (according to family), Labourer, employed by Charles Gaukrodger (according to enlistment papers). Watson sailed from Liverpool for Dunedin, New Zealand on 18th September 1909. He gave his occupation as a mechanic. He settled at Whatatutu , North Island. By his will dated 17th May 1916 he left his estate to his mother and in the event of her death, to be shared between his brother and sister. Much of the information on which this profile is based is drawn from various internet sources which are listed below. 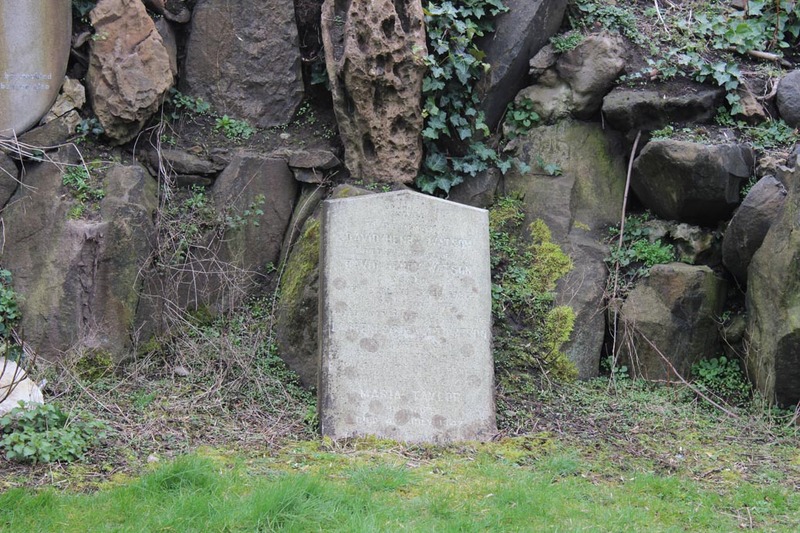 The Friends of Glasgow Necropolis also wish to make full acknowledgement and thanks for the permitted use of any information or images generously supplied specifically for exhibition, publication or display in connection with The Roll of Honour and accompanying profiles to Sedbergh School, Ancestry, and Find my past.